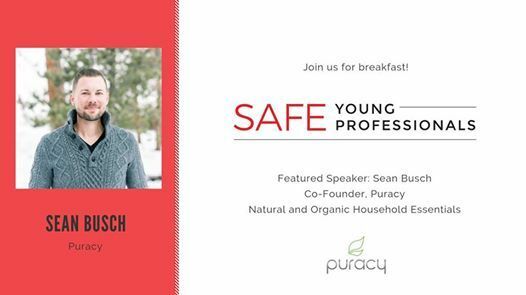 Join the SAFE Young Professionals for breakfast with Sean Busch, the Co-Founder of Puracy, at the Puracy headquarters. 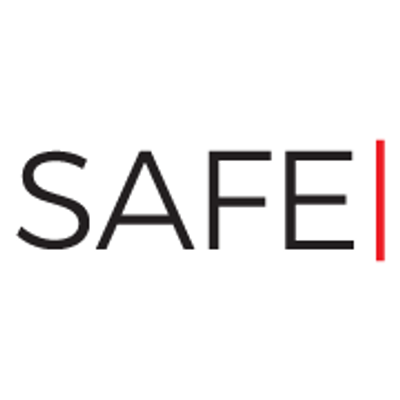 The SAFE Young Professionals (SYP) are a dedicated group of leaders who are committed to the mission of SAFE and who seek to actively participate with SAFE and represent the organization. Participation in SYP provides Austin’s next leaders with exclusive access to our community’s top business minds, social innovators, and philanthropists. We will also discuss how you can get involved with SYP. Coffee and breakfast will be provided. 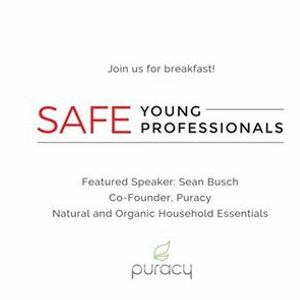 Please invite your friends and colleagues who might be interested in SAFE Young Professionals! Sean began his consumer products journey in high school, when he started a company specializing in surface care for luxury and exotic cars. He became deeply passionate about his craft and very involved in R&D for the major car chemical cleaning companies. Many of the vehicles he cared for were entered into prestigious events, such as Concours d’Elegance. He continued to run this business part-time through college and into his early professional career. As Sean embarked on his professional career after college, he moved into clinical sales roles at Novartis and Johnson & Johnson. Here, he used science, data, and brand equity to provide world class service to his clients. He used the Johnson & Johnson Credo to help shape the Puracy business plan. After four years in healthcare, Sean relocated to Austin to take on a Director role of a fast-growing consumer goods e-commerce company. He led business development for the firm, which deepened his business knowledge of CPG, business and customer acquisition, e-commerce, international brand expansion, and other facets of fast-growing digital companies. Sean met his co-founder Paul in 2012. They were neighbors and quickly became friends. They started talking about business ideas which played strongly into Sean’s background: surface care with an evidence-based approach, applied to consumer products. Sean and Paul saw the value of launching a new brand of natural and organic soaps, cleaners, and personal care items online. Their deep knowledge allowed them to gain momentum and surpass the market presence as brands exponentially the size of them. Since selling their first product in 2014, Puracy has more than doubled in size every year. Their deep level of customer interaction, constant innovation, and dedication to producing the best possible product in each category have yielded robust growth and many product awards. Puracy is 100% privately owned by Sean and Paul and based in Austin, TX.